The camp fronts onto a huge floodplain, adjacent to the permanent water of the Delta and is backed by extensive bush. It is a magnificent wilderness area in excess of 1,700 square kilometres, bordering the Moremi Reserve. 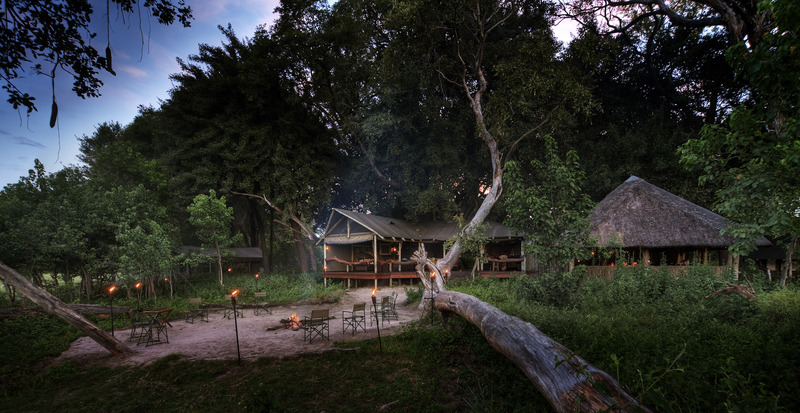 Kwara has 8 luxury safari-style tents are built on raised decks, within a grove of huge and ancient African Ebony trees. Resident hippos will generally serenade you year round from the water on the floodplain in front of the camp. Each tent has its own viewing deck, private en-suite facilities including hot and cold running showers, flush toilets and modern amenities. Kwara also boast a honeymoon suite with its own special bathroom with an antique slipper bath with the traditional ball and claw feet. Hire a private vehicle and have the wilderness almost to your selves – enhanced by your own guide and tracker who will cater to your interests unobtrusively. The forested Falcon on which the camp sits is typical of those encountered throughout the vast 1.6 million hectares of the Okavango Delta. At Kwara, you will discover why the Okavango is considered one of the ecological wonders of Africa and indeed the world. It is mysterious, calming, unpredictable and very wild. At Kwara the guests can enjoy a diverse wildlife experience all year-round, but the focus is definitely on the water. Whether gliding along in the special silence of a mokoro dug out canoe through crystal-clear waters or visiting the famous Godikwe lagoon, where you can stand on a boat literally eye to eye with thousands of herons, storks and other nesting birds. Kwara is the nearest camp to this famous spectacle in Moremi Game Reserve. At Kwara, you will discover why the Okavango is considered one of the ecological wonders of Africa.